WeddingsEventsCocktail & Dinner PartiesWho We AreClient BuzzR.S.V.P. We offer full scale wedding planning, catering, bar services, event décor and more. Start with a free consultation to get our professional, insider’s advice on how to get the most for your money, then decide how you want to proceed. Take full advantage of a wedding planning package tailored specifically to your needs, or simply let us help you plan your engagement party, shower or rehearsal dinner. The Empress Table is one stop shopping for all of your wedding needs and brings your unique celebration full circle. No two events are the same, and that’s the way it should be.  Whether you are curating a corporate party, planning a distinctive dinner, hosting a shower or cocktail party, or throwing a wild birthday bash, The Empress Table will help take your event to the next level. We will source your venue, pair you with the perfect caterer, provide your bar, design a signature cocktail, arrange your event décor and more. We don’t just help you celebrate, we create an experience designed to truly Empress Your Guests. We offer full scale wedding planning, catering, bar services, event décor and more. Start with a free consultation to get our professional, insider’s advice on how to get the most for your money, thendecide how you want to proceed. Take full advantage of a wedding planning package tailored specifically to your needs, or simply let us help you plan your engagement party, shower or rehearsal dinner. The Empress Table is one stop shopping for all of your wedding needs and brings your unique celebrationfull circle. Our collective experience in the food & beverage and hospitality industries, including hotel & restaurant event planning, off-site catering, wedding coordinating, entertainment event design and more, has given us the tools we need to elevate your event above and beyond the expected. Some of our unique specialties include craft cocktails, wine & beer pairing, menu development & design, vendor sourcing, and table and buffet staging. Inspired by the Empress archetype of abundance, The Empress Table was founded as a way to give back to the community through celebration. With a shared vision, unique design esthetic and passion for giving back, we coined the term “full circle event planning” as our mission, and our goal is to bring a truly authentic experience to the Central Florida event market. At The Empress Table, we prefer to work with boutique caterers and personal chefs who “think outside the box,” figuratively and literally speaking. Our chefs create custom menus tailor made for each event, source local and/or seasonal ingredients whenever possible, and execute inspiring, delicious creations while also catering to our clients’ distinct style and budget. The Empress Table donates a portion of every event to one of our trusted charity partners. Our clients have the choice to be fully engaged in the process or leave it to us to decide where help is needed most. This is an excellent way to champion a cause with your friends and loved ones, and will leave your soul feeling as fulfilled as your stomach. All contributions are built into our business model and are of no additional cost to our customers. HomeWeddingsEventsCocktail & Dinner PartiesWho We AreClient BuzzR.S.V.P. © 2014 – 2017 The Empress Table, All rights reserved.